Charlie Petty is a man known for having ice water in this veins. He never backs down and is never shaken but unfortunately stirred up into the wrong crowd. As a degenerate gambler, his luck has run out and his debt has now come due. Charlie is offered a chance to clear his tab: simply stay alone on a ship overnight to prove to its owner and potential crew that it’s not cursed nor haunted. Never mind the ship’s history of suicide, violence, mutiny and murder. Or how the ship’s past crews have gone missing or insane. The fact that no one has set foot on deck in darkness for years doesn’t phase Charlie one bit. It sounds like easy money to bust up a superstition or two. What a perfect cover to set the mood for this horror novella from DarkFuse! From the synopsis, you know going into the book things aren’t going to turn out well for Charlie. Yes, the “spend one night in a haunted house, graveyard, etc…” has been done many times, but I’m always a sucker for reading about it, and a ship was a new setting for me. Charlie went into this situation with bravado, chest puffed out, knowing he could do this. And then things rapidly went down hill for him. Much of what happens is in his own mind, but don’t let that be deceiving. There were some pretty gory parts that weren’t for the faint-hearted. If you read this at home alone, you would definitely be looking over your shoulder. 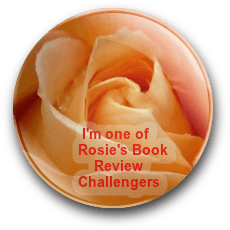 While Charlie was initially skeptical of the hauntings, I felt as if he did an about-face very suddenly rather than gradually changing his mind; however, I found it interesting that he discovered he wasn’t the person he’d always believed himself to be. Some of the descriptions also became a little repetitive but, overall, I thought the author did an excellent job with imagery. 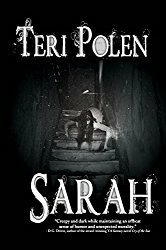 This novella can easily be finished in one sitting and I would recommend it to horror fans and readers who aren’t squeamish. 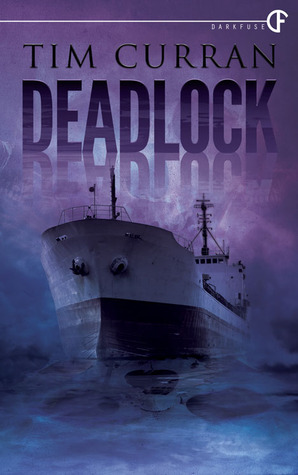 Deadlock is scheduled for publication May 27, 2014. Why can’t ships like this have sunshine and flowers inside? I love the look of the outside, but the inside seems too terrifying. Sadly, I may not be able to sleep if I read this one, but I applaud the review. But you can’t have horror with sunshine and rainbows – unless the sun was melting the skin off people or the flowers were maybe emitting some type of poisonous gas – now that could be interesting. Thanks for stopping by! I know, twas trying. Oh my…see how you’ve made it all scary. Haha…you’re perfect for the subject matter. Sadly (or not), that’s just where my mind immediately goes.